The relationship between the quality of a school district and real estate prices in the neighbourhood is a bit of a “chicken-and-the-egg” question. The highest-ranking school districts tend to have higher house prices than less sought-after districts. At the same time, more affluent homeowners often live in more popular school districts. It’s not always clear which is the motivating factor: do school districts influence house prices or vice versa? 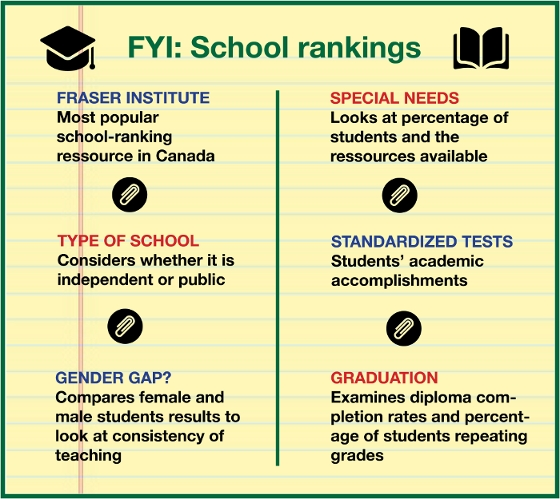 Regardless of which came first, at the end of the day, the fact remains: schools that have higher rankings are, on average, in neighbourhoods with higher real estate values. According to a survey by the Ontario real estate brokerage TheRedPin, homeowners pay a premium of between 20 to 36 per cent for living in proximity to the best schools in Toronto. 91 per cent of prospective homebuyers said that school rankings were important in their search, according to a survey by Realtor.com®, and 60 per cent of buyers said they would pay above their budget to live in their desired school catchment. Why are schools so influential? In large part, it comes down to the age-old search for better education and opportunities for the next generation. Parents will sacrifice a lot to improve their offspring’s future and a higher-ranking school is part of that. It’s also a matter of convenience. Once you have your heart set on a school, it’s a huge time-saver to live a bus ride or walk away. The same Realtor.com® survey found that more than half of buyers are willing to give up other comforts – such are more room or proximity to shopping centres – in exchange for living in the right school catchment. All this, as a total, means there is a huge demand for family homes in certain areas because of school rankings. Even for homeowners without children, a good school is typically seen as a sign of a strong, stable community — a good thing for house prices for everyone who lives nearby.